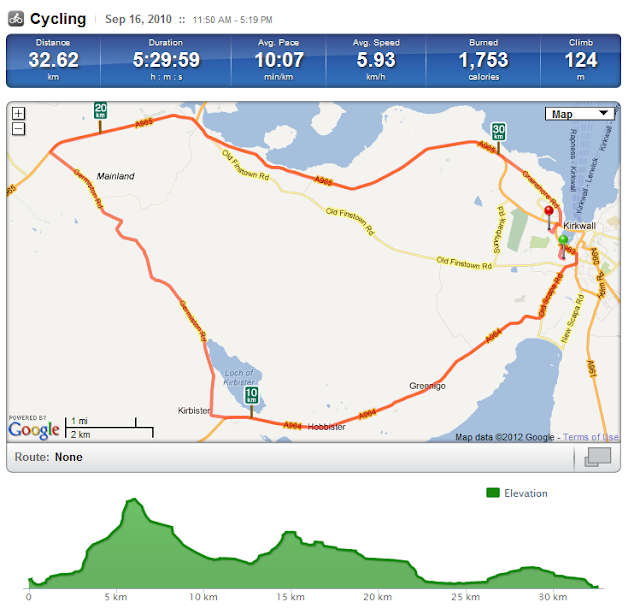 The testing of the bike on a shortish circuit of mainland Orkney showed me what an impact a strong headwind (or tailwind) can have on bicycle and particularly one with front and back panniers. The most important safety lesson being that when a coach or other large high sided vehicle overtakes you need to special care to lean the right way (i.e. not compensate for the wind by leaning into the road - bus - as the bus has blocked the wind). I loved these bus shelters with cycle parking, these may well be all over the place elsewhere but it's the first time I've seen one. NB I happened to take a picture of this one without a bike but most were in use.